Vietnam has been an admiration for the Bangladeshi Left for as long as I can remember. Theirs was a far more glorious liberation struggle than ours. Whereas our war ended within a year, and after a decisive intervention by India, they fought for years and defeated the mighty Uncle Sam by themselves. And they have remained much truer to their revolutionary spirits than us. 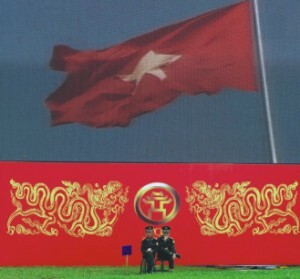 Whereas we debate endlessly about who or what precisely inspired us in 1971, they have no doubts about their socialist ideology and the place of Ho Chi Minh and Gen Giap. More recently, the right has also become enamoured with Vietnam they don't have any of this instability that comes with our democracy, and stability such as theirs is good for business. 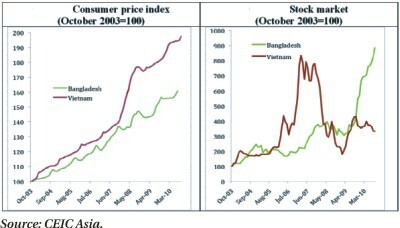 They look at the growth rate, or the inflow of foreign direct investment, and wonder what might have been in Bangladesh. Meanwhile, visiting Hanoi, many a civil society type – the think tankers, development practitioners, activists and academics – find the air much cleaner than Dhaka, traffic so much better, and grinding poverty much less grotesque. The average Vietnamese is now twice as rich as the average Bangladeshi. Wasn't Vietnam doing better than us? What's going on here? Let's start with the simplest measure of living standards per capita income. According to the IMF, in purchasing power parity terms, per capita income in both countries was around $300 in 1980. 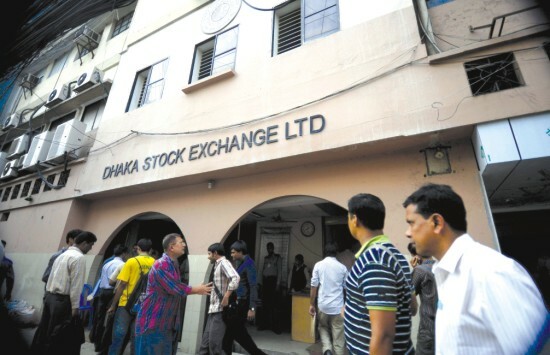 Bangladesh's per capita income has gone up over five-fold by 2010. In the same period, Vietnam's has increased over ten-fold. The average Vietnamese is now twice as rich as the average Bangladeshi. It may come as a surprise to many, but Vietnam is a more unequal country than Bangladesh. Yes, you read that right. A standard measure of inequality is 'Gini co-efficient'. A co-efficient closer to zero means a more equal distribution, while closer to 1 signifies inequality. 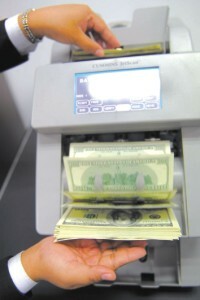 According to the World Bank, Vietnam's co-efficient was 0.38 in 2006, compared with Bangladesh's 0.31 in 2005. Let's dig a bit deeper. The average Bangladeshi lived to about 47 in 1980, 10 years less than the average Vietnamese. Life expectancy in Bangladesh is now 66, compared with 74 in Vietnam. We have been more than keeping pace despite having half their per capita income. To be sure, on a number of metrics such as infant mortality rate or female literacy, Vietnam is still far ahead of us. But we had a weaker starting point. And we have kept pace (if not done better) on most social indicators. To summarise then: Vietnam has grown much faster than us over the past generation, but we have used the additional income more equitably, and kept pace in terms of human development. Still, doesn't trickle down theory say rising tide will eventually lift all boats? Isn't the neoliberal pursuit of growth all that really should matter? No. Growth isn't all that matters, even if we confine the analysis to narrow macroeconomic terms. Prices matter too. Fast paced growth accompanied by high inflation or asset price bubbles is unsustainable. And Charts 2 and 3 demonstrate that as much as we complain about high inflation or fret about our stock market, Vietnam has had problems as bad if not worse. So neither a hardheaded businessman nor a Washington consensus-spouting econocrat should try to emulate Vietnam any more than an old fashioned socialist should. And not just the old fashioned socialists and the hard headed capitalists. Progressive human rights activists and civil society types should also discard Vietnam as a role model. Anyone who worries about the plight of our garment workers should remember that Vietnam is a one party state with stiff penalty for dissent of any kind. As Brad De Long, an economic history professor at the University of California Berkley, provocatively asks: the Communist Party of Vietnamwhat is it but a gang labor boss for unfree labor deployed to produce shoes for Nike? Is Vietnam a good model for Bangladesh? But more importantly, it's about time we stop such superficial search of role models. Each country is legacy to unique history and circumstances, and anointing another country as a role model is not conducive to the public discourse. Challenges faced by Bangladesh are multifaceted. But none of them are insurmountable, and many have been overcome in other countries. Of course we should learn from their experiences. For example, Indonesia is building democratic institutions after years of kleptocracy and violent political Islam. And our closest neighbour has been demonstrating that it is possible to uplift the life of millions without sacrificing fundamental rights at least in principle, India has also shown us the limits of parliamentary democracy, and how those limits can be overcome. Bangladesh has a lot to absorb from experiences elsewhere. But this will be done through research and analysis, not glib references to factlets that make another country a role model. Jyoti Rahman is an applied macroeconomist and writes for Drishtipat Writers' Collective (www.drishtipat.org/dpwriters). He can be contacted at dpwriters@drishtipat.org.